Mindfulness is a hot topic at the moment. There is a lot of information available about it and how you can use it. This course distils the topic into a one day course, designed to give you a practical understanding of what it is, and how it can be applied. develop a personal Mindfulness plan for use at work or at home. For anyone wishing to improve the quality of their lives, improve the way they cope with stress, work overload and improve decision making. ​You will be entitled to email based follow up support for a month following completion of the course. 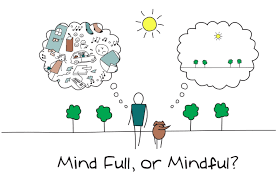 If you want to find out a bit more you can read my blog post about practical mindfulness here.